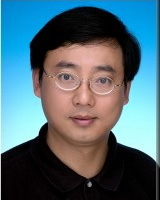 The research interests of Prof. Lai can be classified into three categories: 1. Integrity testing of piles with surface reflection non-destructive testing technique. 2. Geophysical site exploration with spectrum analysis of surface save (SASW), ground penetration radar (GPR) and ground resistivity method. 3. Ground improvement with geosynthetic material.